Showing results for tags 'clownfish identification'. 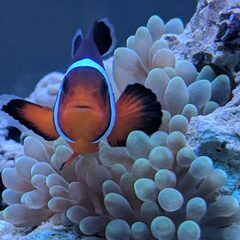 Can someone please tell me what species of clownfish I have? I got these guys from a buddy to quarantine and treat MV symptoms and he had no clue. I've never been any good at telling the difference in Perculas and Ocellaris.